Hotels are embracing authenticity, curation, and personalization to attract guests. For Hotel Chaco, the design team explored the region’s indigenous Chaco ruins — a UNESCO World Heritage Archaeological Site — and incorporated regional materials to capture its rich history as a central hub for the ancient Pueblo people. In less than a decade, the rise of Airbnb, hotel mega-mergers, and micro-boutique hotels have disrupted the hospitality industry. Airbnb offers listings in more than 190 countries, and its total number of listings — 4 million — is higher than the top five major hotel brands combined, according to Forbes. Part of the reason the sharing economy has soared — Brookings estimates it will be a $335 billion market by 2025 — is that while technology has made it easier to book travel or a place to stay, many people are looking for human connection that’s often lacking on their devices. As paradigms shift, hoteliers and developers are reinventing themselves and embracing new models to compete with upstarts like Airbnb. A hotel can no longer be just a place to sleep. To resonate with leisure guests and business travelers, hospitality spaces must offer unique, immersive experiences. Brands have an opportunity amidst the disruption. Through a curation of unique programming, design, architecture, technology, and entertainment, hospitality companies can foster loyalty in an increasingly competitive marketplace. In the Gensler Experience IndexSM: Hospitality report, researchers compared the number of activities a guest engages in at a hotel with the guest’s rating of that hotel’s experience, and a distinct pattern emerges: The broader the experience, the better. The best hotels are multifaceted and can accommodate a range of interests without sacrificing excitement or becoming generic. 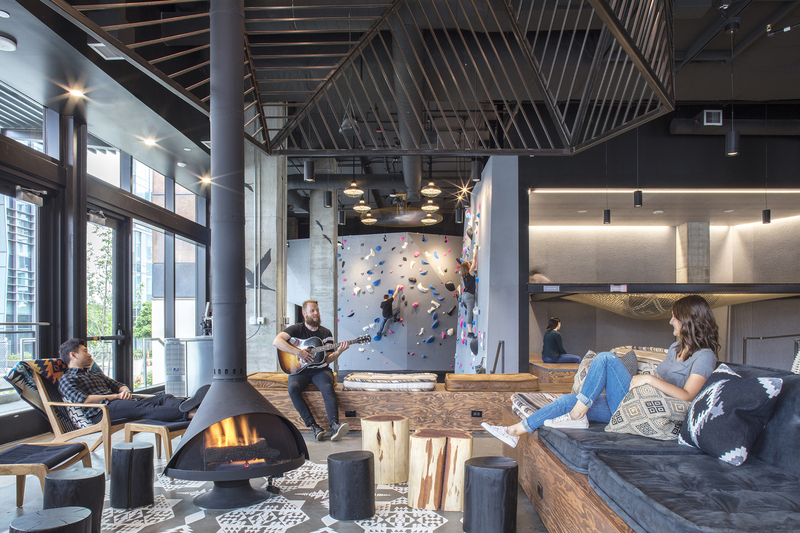 A members-only club in Seattle, The Collective reimagines traditional club elements and pairs them with activities like bouldering and coworking, and authentic details such as local food, art, and music to instill a sense of community that enhances the experience. Technology plays a key role in meeting guests’ expectations. Everything from mobile check-in to in-room apps that allow guests to control temperature, lighting, and more help create seamless, effortless experiences. With digital experience design — a practice in which physical spaces are designed with the digital experiences they enable in mind — operators can influence the guest experience and make it exciting every time guests return. 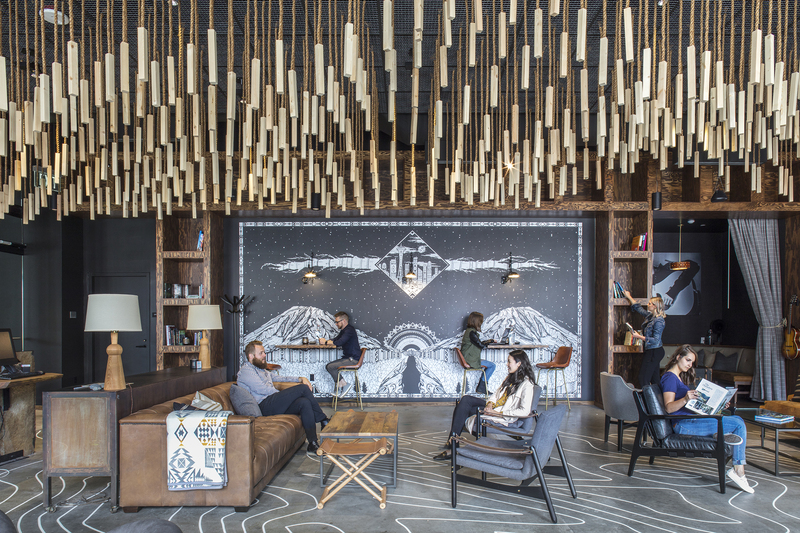 The hotel has become a hybrid of work, play, discovery, and focus. The best hotels support a blend of business and leisure and the growing blur between them. Our research found that 70 percent of business travelers did leisure activities on a work trip and 20 percent of vacationers conducted business. Even airports, workplaces, and corporate training facilities are incorporating hospitality spaces with a residential feel. To compete with upstarts, traditional hotels are launching new brands and models. Take Marriott’s Autograph collection or Hilton’s Tapestry Collection: each hotel has its own local aesthetic and identity, while still providing great service and access to the brand’s loyalty programs. 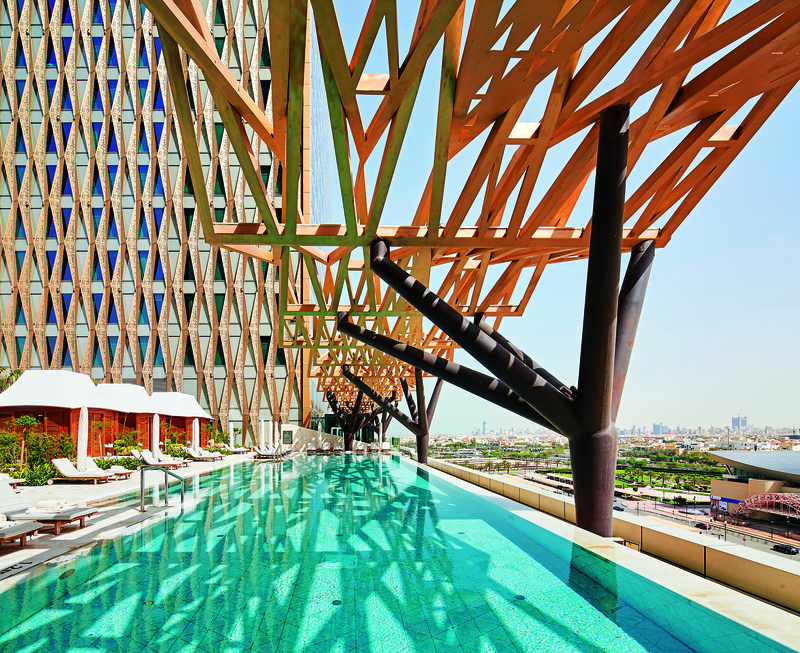 Inspired by the region’s rich architectural history, the hotel couples contemporary luxury with local building traditions and vernacular practice. The traditional idea of the mashrabiya — an Arabic carved wood latticework window treatment — is modernized to create privacy and shade for those inside. Part of the success of Airbnb, HomeAway, or VRBO is that those experiences are often predicated on the unknown, which makes traveling feel like a more authentic experience than simply checking into a hotel. But these upstarts don’t offer the assurances of great service you can get with a branded experience — a key differentiator for traditional hospitality brands. For hoteliers, one of the driving concerns is how best to serve travelers’ seemingly disparate desires for reliably great service and a unique experience. Part of great storytelling is authenticity, which in turn offers a singular experience for travelers that they’ll want to return to. Hotels of the future must offer a curated experience that accommodates a range of intentions and activities, with a keen understanding of what guests want. Tom Lindblom and Steven Upchurch are Hospitality leaders, based in Gensler's London and Dallas offices, respectively.